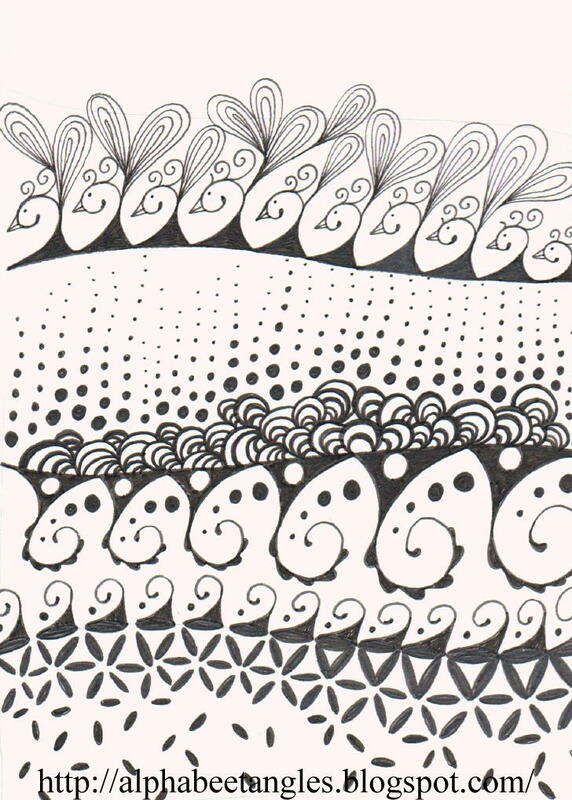 It is so great how working with patterns can then help in the design work of a flourished calligraphy piece. Took time today to play with the challenge for this week. 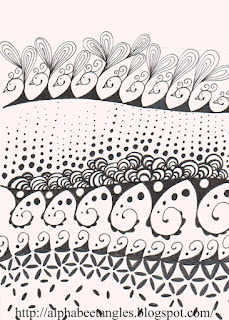 This week's tangle was created by Mary Kissel, CZT - and you can see the step outs for this tangle on her blog HERE. While at Random Arts in Saluda, NC - our bi-weekly group shared some patterns with 3 new folks. It is such a joy to have a place to go to be inspired and share creative juices. It is delightful that at each session another newbie shows up. Thanks to Jane this group keeps plugging along.